The vinyl box set is due for release in August. Gorillaz's latest album Humanz is a sprawling and star-studded affair that features a myriad of guests over its 20-track duration. However, it seems that Damon Albarn has even more Gorillaz music on the way. Pitchfork reports that a vinyl box set version of the album will be released on August 25 featuring a number of additional tracks. These are said to include a Little Simz collaboration "Garage Palace," plus songs with U.K. artist Azekel plus Sidiki Diabate and Faia Younan. There will also be an alternate version of “She’s My Collar” with Kali Uchis singing in Spanish. 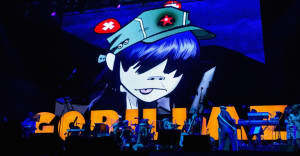 Gorillaz recently announced a series of live shows across Europe and will tour north America in July.